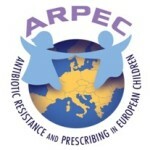 A partnership of several European universities and Health Institutions aiming to develop and implement a novel method of surveillance of antimicrobial consumption and resistance in children in hospitals and in primary care across Europe. A project aimed to develop and test a parenteral age-appropriate formulation of clonidine for sedation in Paediatric Intensive Care Units in order to obtain a PUMA. A research project to integrate the existing information on deferiprone use in the paediatric patient population with chronic iron overload. A new oral liquid formulation of deferiprone suitable for paediatric use has been produced and a PUMA application will be submitted at the end of the studies. Two clinical trials and an observational study in children are ongoing. ID-EPTRI project, coordinated by CVBF and funded within the H2020-INFRADEV-01-2017 programme, aims to create the framework for a new Research Infrastructure (RI) intended to enhance technology-driven paediatric research in drug discovery and early development phases to be translated into clinical research and paediatric use of medicines. The project arises from the need to find answers to the serious lack of medicines for children in EU and worldwide and to propose development models for paediatric medicines that integrates technology-driven aspects with clinical trials. The interest for Paediatrics was indeed mentioned in the ESFRI Roadmap 2016 (http://www.esfri.eu/sites/default/files/20160309_ROADMAP_browsable.pdf) where it was recognised that a similar RI should be included into the landscape of the research in Europe. A project to develop and test a new formulation of gabapentin for the treatment of neuropathic chronic pain in the paediatric population. Results from paediatric clinical studies will be used for a PUMA application. A worldwide network of scientists, which aims to stimulate and facilitate the development and safe use of medicines in children, with the development of a comprehensive training programme in paediatric clinical pharmacology and the integrated use of existing research capacity. This project aims at studying pharmacokinetics, safety and efficacy of meropenem in comparison to standard care in neonates and infants aged less than 3 months affected by late-onset sepsis and bacterial meningitis. Results will be used for a PUMA application. A project aimed to develop a new age-appropriate formulation of vancomycin and provide clinical data on adequate dosing regimen for neonates and infants, in view of applying for a PUMA. The Paediatric Clinical Research Infrastructure Network (PedCRIN) is a three-year project that brings together the European Clinical Research Infrastructure Network (ECRIN) and the founding partners of the European Paediatric Clinical Trial Research Infrastructure (EPCT-RI) to develop capacity for the management of multinational paediatric clinical trials. PedCRIN is aimed to develop the necessary tools and capacity to enhance the high quality and ethical standards of multinational paediatric clinical trials. These tools will be tested through the project, refined, and then shared by the European and international scientific community, ensuring that the project gains become sustainable. It will also represent a unique opportunity to upgrade the existing ESFRI-landmark ECRIN-ERIC and to improve its business model and financial sustainability, attracting more industry-sponsored trials and more Member and Observer countries, involving both scientific communities and government representatives in these strategic discussions. A project aimed to identify the needs and motivations of children and their families participating in clinical trials in Europe. The project makes available recommendations for researchers about how to empower children, respect their interests and motivate their participation in future clinical trials. RESTORE represents a preparatory action for a large-scale research initiative aimed to shift from treating symptoms to curing chronic diseases by making the transformative promise of Advanced Therapies a reality. Advanced Therapies, in Europe categorized as Advanced Therapy Medicinal Products (ATMP), include medicinal products based on gene therapy, cell-therapy and tissue engineered products, as well as the combination of these products with medical devices such as biomaterials. A high degree of complexity has to be faced in their manufacturing, clinical use, and mode-of-action compared to conventional drugs or antibodies. In order to overcome this complexity, RESTORE aimed to remove the technological and regulatory roadblocks for Advanced Therapies in Europe, deliver a pipeline of dozens of transformative ATMP products by 2030, and establish a sustainable pan-European ecosystem integrating research, clinics, industry and patients in order to promote the development of Advanced Therapies in Europe. The preparatory phase has been launched the 1st of March, will last 1 year and will led in the 2020 to the start of this large-scale Research initiative 2021-2030 in the Health and Life science area. The RESTORE consortium is led by Berlin Brandenburg Center for Regenerative Therapies (BCRT/Charité), in Germany, is coordinated by Prof. Hans-Dieter Volk and involves 10 partners from academic centers and biotech companies with excellent international reputation from different European countries and Israel. The community includes also close to 300 committed supporters from 26 countries among with the TEDDY network. SMART is a H2020 project aimed at increase capacity in providing innovative paediatric research methods at national and local level. In particular the project is dedicated to raising the Instytut Pomnik Centrum Zdrowia Dziecka (IPCZD – Poland) staff’s research profile and implement the leading role of this Institution in Europe. A specific training programme is foreseen including the organisation of staff exchanges, face to face courses and summer schools. These activities are oriented to share experience, promote cross-interaction among disciplines and institutions, boost the project’s cohesion and ensure the effective participation of all partners. Three internationally-leading research institutions, Consorzio per Valutazioni Biologiche e Farmacologiche (CVBF) in Italy, University College London (UCL) in the United Kingdom and Université d’Aix Marseille (AMU) in France will contribute to the programme by providing specific expertise in paediatric clinical trial management and development, Modelling &Simulation, Extrapolation techniques and new formulations generation.